After a long wait, the trailer of Ram Charan’s next will finally be launched in a few days from now. The latest update reveals that the makers will launch the trailer on the 25th of this month. Already, the teaser has received a superb response. 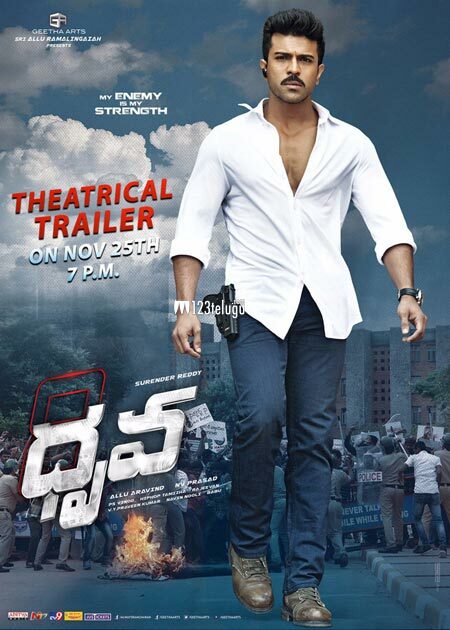 Charan looks super fit as a cop and is set to impress everyone in a complete action avatar. Aravind Swamy plays the bad guy in this film which has Rakul Preet as the female lead. Surender Reddy directs this film which will release on the 9th of December.